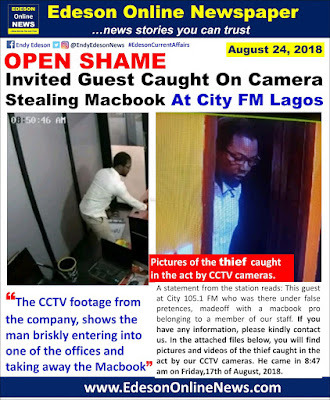 A man who was invited as a guest at City 105.1 fm in Lagos , was caught on camera stealing a Macbook pro belonging to the company. The CCTV footage from the company, shows the man briskly entering into one of the offices and taking away the Macbook. 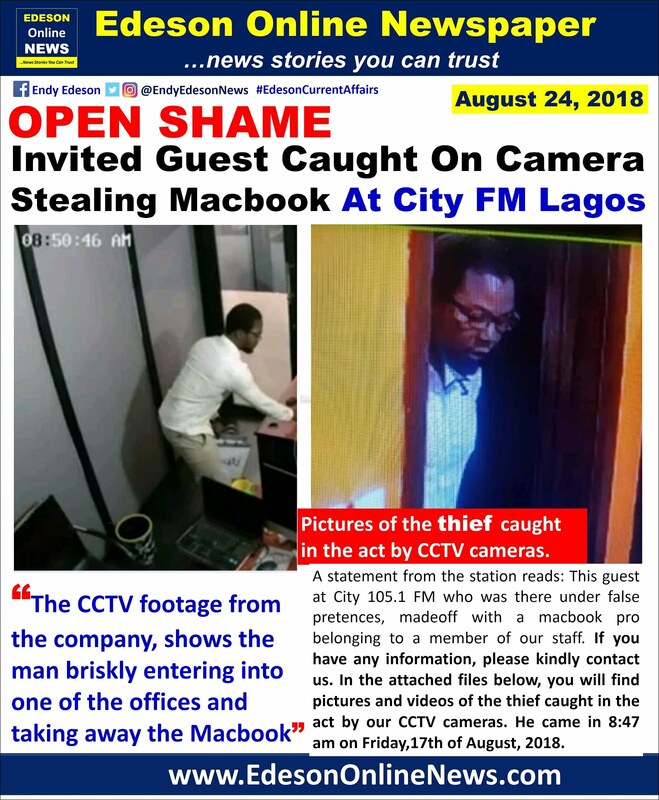 This guest at City 105.1 FM who was there under false pretences, madeoff with a macbook pro belonging to a member of our staff. If you have any information, please kindly contact us. In the attached files below, you will find pictures and videos of the theif caught in the act by our CCTV cameras. He came in 8:47 am on Friday,17th of August, 2018. Village people seriously de on his case. Was he there to see someone or what? Hmmm... Invited guest without identity(name)? Could he be an invited quest true true?